Win-Win Blackjack is a blackjack variation that is only found at online casinos. It is distributed by IGT and is available at many European online casinos. Betfair in New Jersey also spreads the game. The game uses six decks of cards and reshuffles after each hand. The minimum bet for Win-Win Blackjack is usually only $1. The maximum bet depends on the site but is usually between $200 and $500. 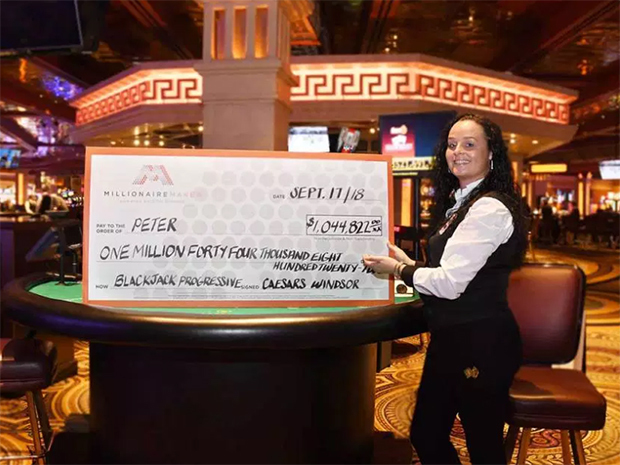 The Win-Win Blackjack bet can be no more than twice the size of the flat wager. Win-Win Blackjack starts out with the dealer and player receiving two cards. The players are dealt face up, while the dealer receives one down and one up. The goal for this portion of the game is the same as traditional blackjack. The player wants to get as close to 21 without going over while beating the dealer. All bets are returned on ties. The Win-Win Blackjack bet loses when the dealer has a blackjack. It pushes when the player stands before going over 21. It only comes into play when the player busts. A busted player hand will trigger this bonus round. Think of it as a rescue wager. It starts with the card that busted the player moving to the center of the table. Four additional cards are then dealt. The five cards are placed together and graded based on the best poker hand. A bust in any split hand will also trigger the rescue wager. The Win-Win side bet does not need to be doubled when splitting or doubling down. This applies even if only one of the two split hands bust. The card from the first busted hand will be used in the poker hand if both split hands bust. Ten value cards are played based on the rank that is used in poker, not the point value assigned in blackjack. 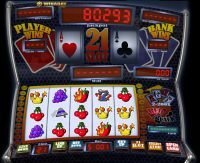 Most online casinos that spread this game offer it in a flash version. This is available in free play mode without being forced to create an account.